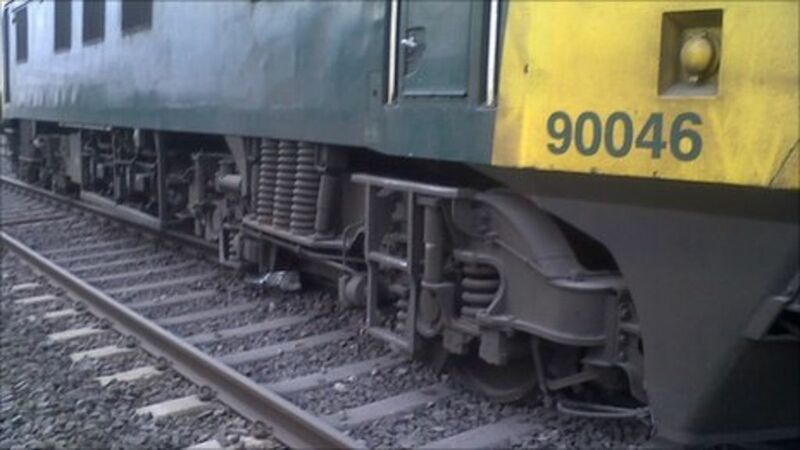 A freight train engine which derailed on the West Coast mainline may have been going too fast, Network Rail says. A down 350 calls at Bletchley in June 2011. The viaduct in the background was built about 1960 for access to Swanbourne yard - which was never built, due to the rapid decline in wagonload traffic. The viaduct may yet be used for a revived East-West link, if they can afford to attach a platform and lifts to it. In 1985, I saw an empty stock DMU with saloon lights lit crossing from East to West - a rather fetching sight at dusk.